On 21st July Evolva were delighted to welcome Professor Peter Howe to their Reinach Office in Switzerland. 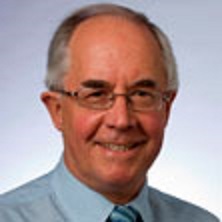 Professor Howe is a Professor at the University of Newcastle, Australia as well as the current Director of the Clinical Nutrition Research Centre there. Peter has an impressive track record of pre-clinical and clinical research in nutrition, cardiovascular physiology, neuroscience and mental health. He has conducted various clinical trials proving the cardiovascular and metabolic health benefits of omega-3 fatty acids, and in the recent years he has conducted several clinical studies on the beneficial effects of resveratrol as well. Peter has published over 200 papers and is Editor-in-Chief of the journal Nutrients. 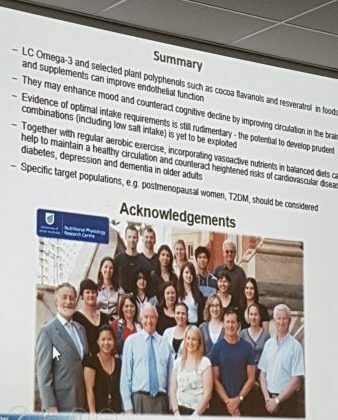 During his visit Professor Howe gave a presentation entitled “Resveratrol and other vasoactive nutrients – multifaceted roles in healthy aging”. His current research focuses on the role of nutraceuticals and lifestyle in health optimization, including cardiovascular, metabolic and mental health. 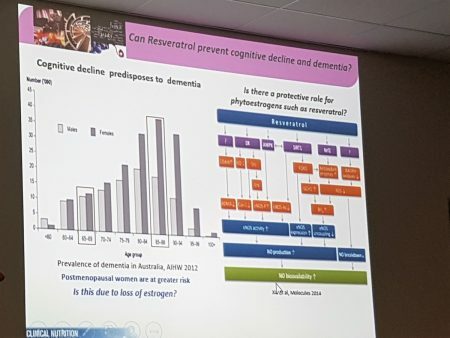 Peter’s group is conducting an exceptionally well designed clinical study on the effect of Veri-te™ resveratrol supplementation on brain and bone health in post-menopausal women. 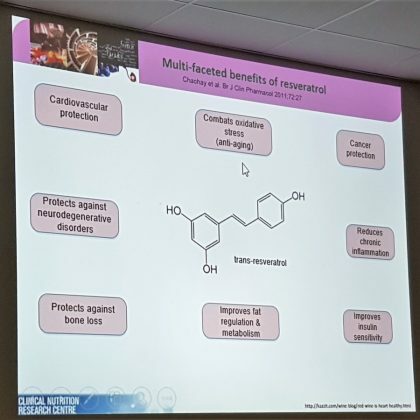 The study will measure the effect of daily resveratrol supplementation (75 mg Veri-te™ resveratrol twice daily) on bone health and other parameters in 170 post-menopausal women. The study has begun and Phase I results are expected in the second half of 2018. Previous research on resveratrol and bone health indicates that, besides anti-inflammatory properties, resveratrol could increase bone density and encourage stronger bones. These studies suggest that resveratrol works in a complimentary way to nutrients such as Calcium and Vitamin D, which help reduce bone loss. Contact us to discuss how Veri-te™ resveratrol could help boost your Bone Health product range: res@veriteresveratrol.com.